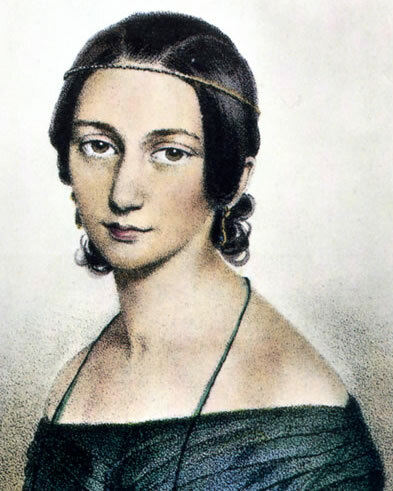 Welcome to Germany for my 4th composer profile: Composer and pianist, Clara Schumann. 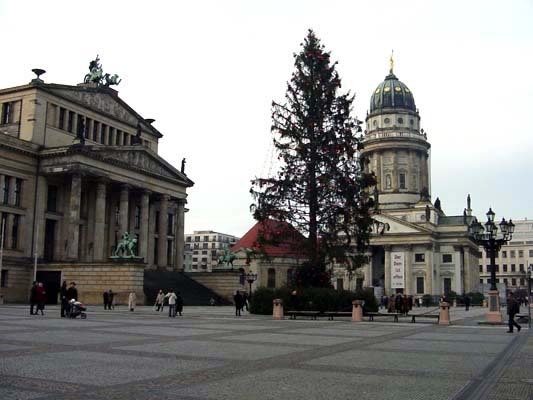 Germany has provided the world with just tons of amazing composers such as Johann Sebastien Bach, Ludwig von Beethoven, Richard Wagner, Richard Strauss, Johannes Brahms, among many others. For this profile, I opted for Clara Schumann because I pretty much knew nothing about her. I knew she played the piano and was married to Robert Schumann who wrote a great Concert Piece for Four Horns, among much more wonderful music. What I learned is that she was an amazingly talented woman who was known for being an incredible solo pianist and composer. It’s only truly been since WWII that many careers opened up as possibilities for women. And even then, it started because we got a taste for the outside-the-home working world while the men were off fighting the war. So what about Clara herself? What about a contemporary of Mozart, composer and violinist Maddalena Laura Lombardini Sirmen? Even in today’s world, we don’t hear that much about women composers. Although, the Chattanooga Symphony Orchestra will perform Jennifer Higdon‘s Violin Concerto next season, something which has an additional “coolness” factor. It’s music by a female composer being performed by a female concertmaster in an orchestra led by a female conductor. Traditionally, women were not a part of the musician rosters of orchestras. They’ve not traditionally led orchestras. They’ve not traditionally written the music played by orchestras. Fortunately, this is changing, but for now, hats off to Composer Jennifer Higdon, Concertmaster Holly Mulcahy and Music Director, Maestro Kayoko Dan, for performing this music. Composing gives me great pleasure… there is nothing that surpasses the joy of creation, if only because through it one wins hours of self-forgetfulness, when one lives in a world of sound. Clara Schumann was quite a progressive woman. She juggled it all. She was very well-established as a soloist on the piano, already touring extensively around Europe before she married Robert Schumann. Even after their marriage, she continued touring and teaching – all while giving birth to eight children, of whom she outlived four. Last weekend I was the Columbus Symphony Orchestra play Robert Schumann’s 2nd Symphony. At the pre-concert chat, we learned that Clara worked as a second breadwinner in her family, still performing while raising their children. A big reason for that is that Robert Schumann could write some beautiful music for the piano, but he wasn’t that great of a pianist himself. Clara – was a virtuoso so she performed them. She also assisted him in some of his composing, helping him to fine tune some things. Her husband also spent many years in and out of mental institutions including his final two-plus year stay after a suicide attempt before dying at the young age of only 46. Listen to this piano concerto. It’s beautiful, isn’t it? In an era where women either stayed at home or else worked in boarding houses, as teachers or as nurses, Clara Schumann definitely stood a world apart from other women creating beautiful music along the way. Thanks for reading this today! Coming in March will be two composers from Switzerland and Italy: Heinrich Sutermeister (1910-1995) and Giovanni Battista Pergolesi (1710-1736). I hope to see you then! Tags: Chattanooga Symphony Orchestra, Clara Schumann, Classical Music, Composer, Germany, Jennifer Higdon, Passport, Piano, Profile, Robert Schumann. Bookmark the permalink. I conducted Clara’s piano concerto with Virginia Eskin in Boston in 1988. Wonderful piece, and the second movement duet between piano and cello certainly must have inspired Brahms in his second concerto. Robert wanted too help Clara “fix” this early work, but she wisely declined! That’s funny! It’s amazing how things come to be, don’t you think?